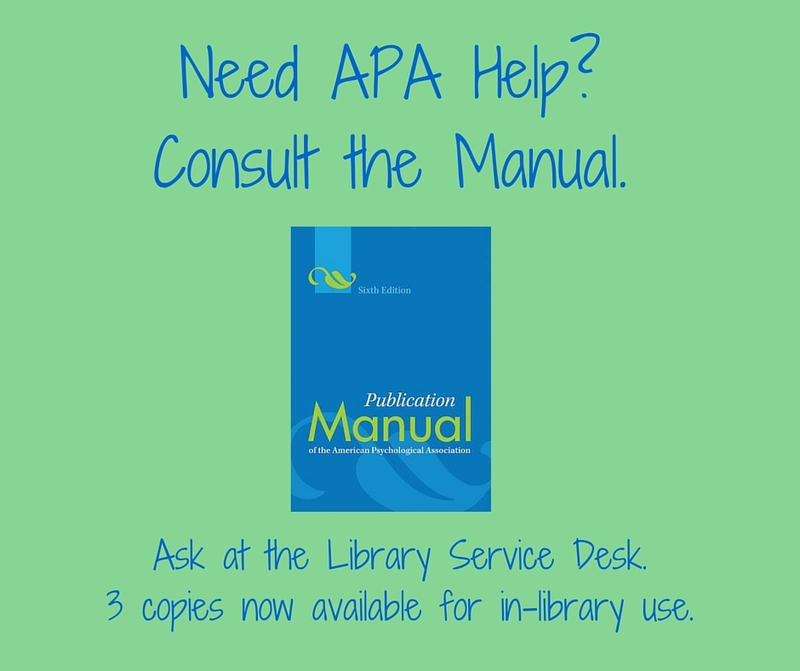 Just in time to start your bibliographies, there are three copies of the Publication Manual of the American Psychological Association (sixth edition, second printing) on reserve in the library. Ask for them at the Library Service Desk. They can be checked out for 4 hours at a time and are for in-library use only. 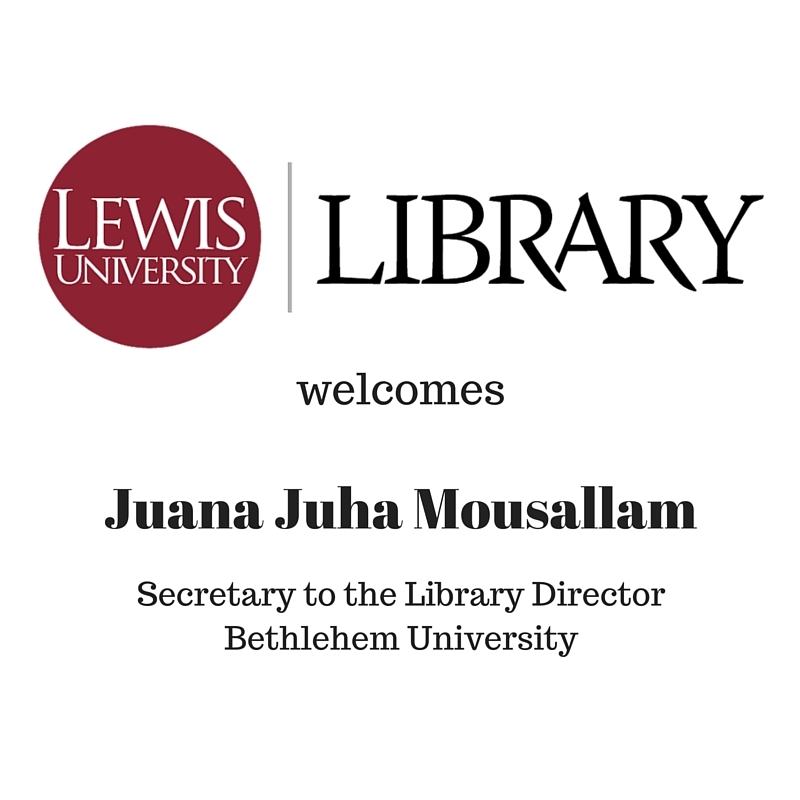 For the next two weeks, the Library will host Juana Juha Mousallam, Secretary to the Library Director at Bethlehem University. Juana, a BU graduate, will work with Library staff to learn more about the operations and goals of an academic library and will receive training in library functional areas that are not available to her at her home library. During her visit, she is also interested in learning about Chicago cultural history. According to its website, Bethlehem University, one of our partner Lasallian institutions, was the first university established in the West Bank. 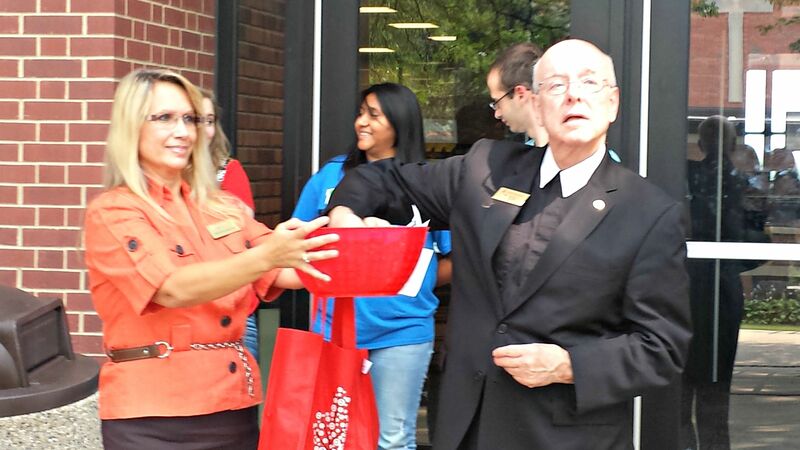 It is a Catholic Christian co-educational institution of higher learning founded in 1973 and is open to students of all faith traditions. Its library, which began as a classroom full of donated books and now houses a staff of 12 and a collection of more than 88,000 books and journals, is in the midst of a major renovation that will feature new collaborative spaces and upgraded technology. 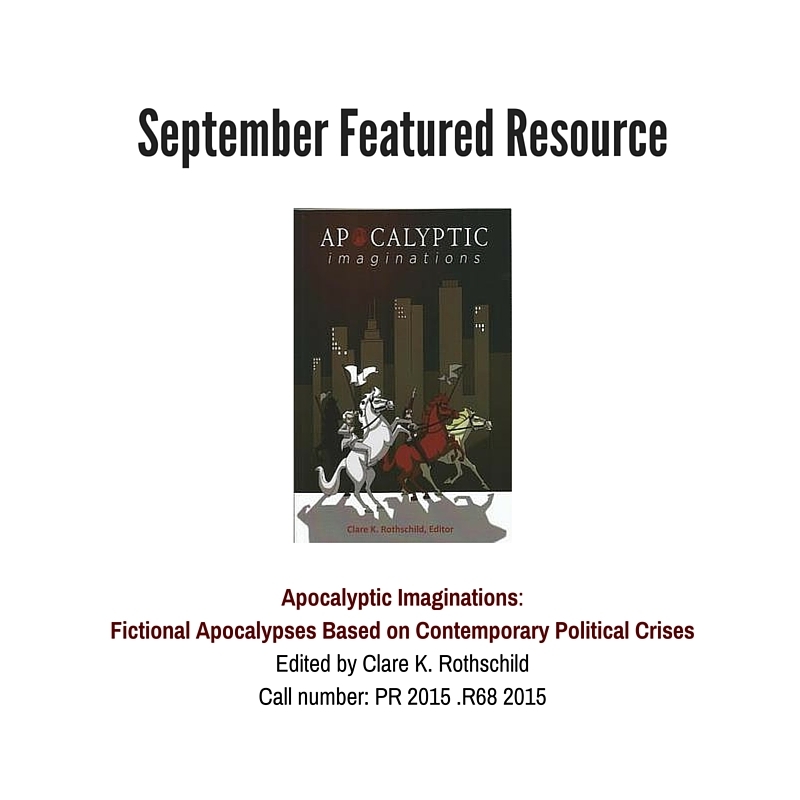 Edited by Associate Professor Clare Rothschild and written by Lewis students in her 200-level theology course, Apocalyptic Imaginations is a collection of 20 fictional apocalypses inspired by the political situations in areas of the world such as Sudan, Afghanistan, and Ukraine. The book’s origin story begins in Fall 2014 with the introduction of a new course, Special Topics: Revelations and Other Apocalypses. Inspired by the current “zombie craze” that produced The Walking Dead, 28 Days Later, and World War Z, the course focused on ancient and modern literary expressions of apocalypse. For their capstone assignment, students were required to write their own fictional apocalypse from the point of view of an individual in a contemporary political crisis. Rothschild was so moved by her students’ final essays that she sought a publisher for their work. Scholar R. Matthew Calhoun, an expert in the field, worked with Rothschild and the students to edit the essays into published form and also wrote the book’s introduction. Local artist Nathan Little created the cover illustration, which is inspired by Durer’s images from the Book of Revelation. The essays range from the literal to the symbolic, such as Lauren Rexroad’s “Similtudes of Eeyore and the Hundred Acre Wood,” a children’s story that includes a hidden critique of the situation in North Korea. Some, like Toni Focosi’s “Apocalypse of Luke” (the one from Tatooine), draw on contemporary pop culture. Others, such as Anthony LaRocca’s “Apocalypse of Sardar Khan,” reflect students’ personal experiences: LaRocca, a veteran of the U.S. Marines who served in Afghanistan, wrote his apocalypse from the perspective of a member of the Taliban. 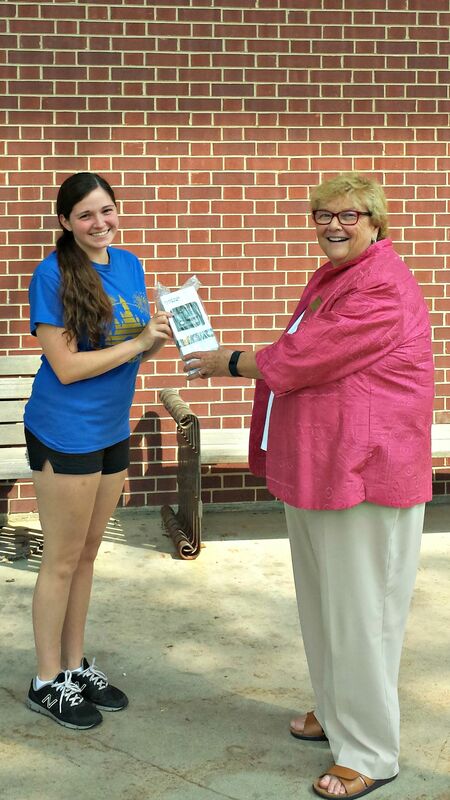 Apocalyptic Imaginations is available for checkout at the Lewis Library. 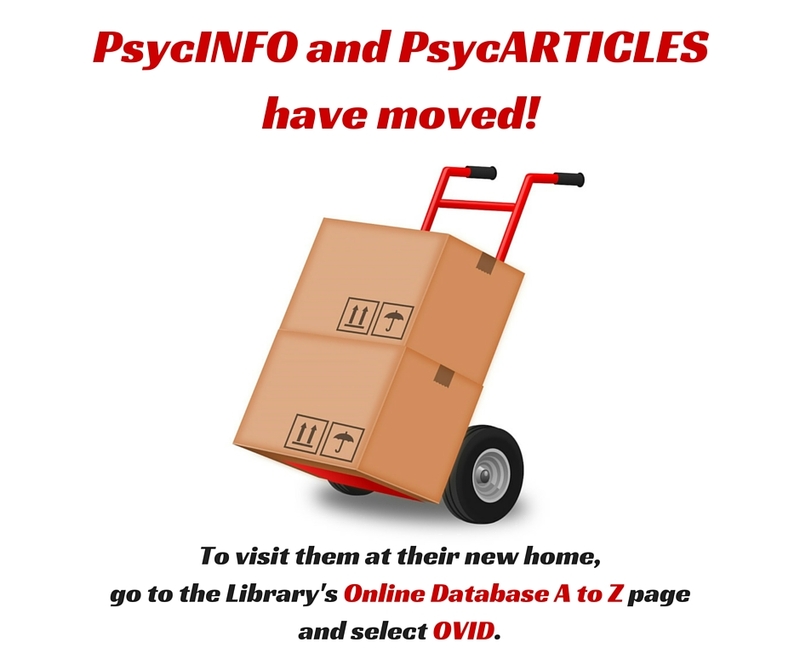 Look for it on the second floor (call number PR 2015.R68 2015) or ask a library staff member for help finding it.